56. At any time on or after July 1, 2018, did your high school or school district homeless liaison determine that you were an unaccompanied youth who was homeless or were self-supporting and at risk of being homeless? See Notes page 10. 57. At any time on or after July 1, 2018, did the director of an emergency shelter or transitional housing program funded by the U.S. Department of Housing and Urban Development determine that you were an unaccompanied youth who was homeless or were self-supporting and at risk of being homeless? See Notes page 10. These questions aim to determine if you are considered homeless at the time of application, which will help to determine your dependency status. Homeless means lacking fixed, regular and adequate housing, which includes living in shelters, motels, cars, or parks, or temporarily living with other people because you had nowhere else to go. This includes situations such as fleeing an abusive parent who would otherwise provide you with financial support and a place to live. Unaccompanied means you are not living in the physical custody of your parent or guardian. 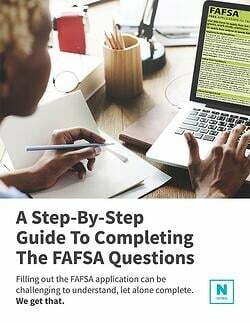 Youth means you are 21 years of age or younger or you are still enrolled in high school as of the you sign the FAFSA application.